Margaux, Chateau du Tertre 2015 4. Cru is a blend of 70% Cabernet Sauvignon, 10% each of Petit Verdot, Cabernet Franc and Merlot, picked 9 September until 9 October, matured in around 47% new oak. 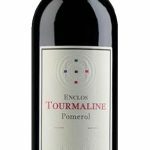 The nose is impressive, more so than the 2014 twelve months ago with tightly-wound but very focused raspberry, cranberry and iodine aromas that gently unfurl with aeration. 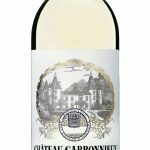 The palate is medium-bodied with good structure, impressive depth, a du Tertre with more substance and body than recent vintages. There is precision with satisfying length on the cedar and pencil lead finish. Alexandre Van Beek might have produced his best du Tertre to date. Drink 2025-2045. A wine with definition and refinement. Hints of tobacco and chocolate. Full body, super fine and flavorful. Juicy and savory. The walnut and spice on the end is gorgeous. Mid purplish crimson. Very well-married elements on the nose already. Sweet, very polished palate entry. Perhaps very slightly too sweet for refreshment value? But a well-made wine without excesses. Quite forward. The 2015 du Tertre is dark, pliant and inviting. Black cherry, plum, mocha, exotic spice and lavender are front and center. This is an especially dark, virile du Tertre. A host of game, smoke, tobacco and more feral notes develop in the glass to give the wine its masculine, virile personality. Du Tertre is an especially brooding Margaux. In 2015, the blend is 70% Cabernet Sauvignon, 10% Merlot, 10% Cabernet Franc and 10% Petit Verdot.